Computer security specialists has determined that Binkiland.com is classified as hijackware (also known as browser hijacker). A large number of PCs around the World have been hit by the Binkiland.com hijacker infection. The steps below will teach you all you need to know about the browser hijacker. How it got into your computer, how to get rid of Binkiland.com, and how to protect your PC from any undesired programs like this hijacker in the future. If your computer is infected with Binkiland.com hijacker you will be forced to use its own search provider. It could seem not to be dangerous, but you still should be very careful, since it may show unwanted and harmful advertisements developed to trick you into buying some questionable apps or products, provide search results that may reroute your internet browser to certain deceptive, misleading or malicious web-sites. We suggest that you use only the reliable search engine such as Google, Yahoo or Bing. Also, adware (sometimes called ‘ad-supported’ software) may be installed on the PC system together with Binkiland.com browser hijacker. It will insert a lot of advertisements directly to the web-pages that you view, creating a sense that advertisements has been added by the creators of the webpage. Legal advertisements may be replaced on fake advertisements which will offer to download and install various unnecessary and malicious programs. Moreover, the Binkiland.com hijacker be able to collect user info which may be later transferred to third parties. As evident, the hijacker infection is a potentially undesired program and should not be used. If you noticed any of the symptoms mentioned above, we recommend you to follow step-by-step instructions below to remove the browser hijacker and remove Binkiland.com from your web browser settings. The Binkiland.com is a browser hijacker that you might have difficulty in uninstalling it from your system. Happily, you have found the effective removal instructions in this blog post. Both the manual removal way and the automatic removal method will be provided below and you can just select the one that best for you. If you’ve any questions or need assist then type a comment below. 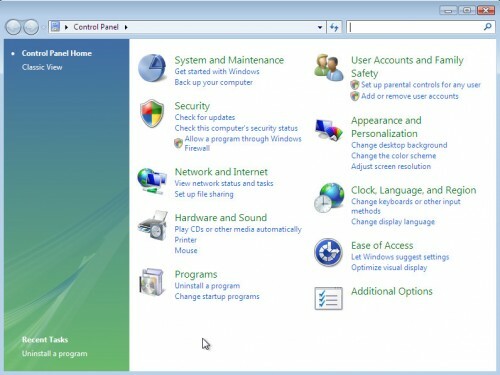 Some of the steps will require you to reboot your personal computer or exit this web site. So, read this guidance carefully, then bookmark or print it for later reference. 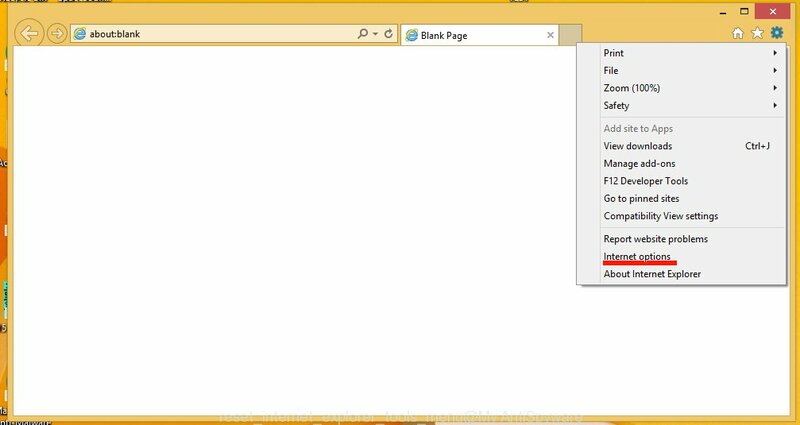 Read this section to know how to manually delete the Binkiland.com hijacker. Even if the few simple steps does not work for you, there are several free malware removers below which can easily handle such hijackers. The main cause of homepage or search provider hijacking could be PUPs, adware or other undesired programs that you may have accidentally installed on the computer. You need to find and uninstall all questionable software. It will display a list of all apps installed on your machine. Scroll through the all list, and delete any suspicious and unknown applications. If the Firefox web-browser program is hijacked, then resetting its settings can help. The Reset feature is available on all modern version of Mozilla Firefox. 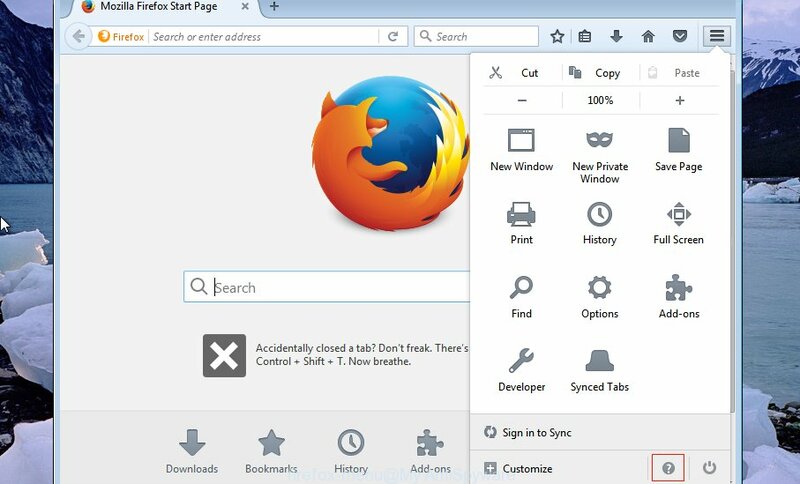 A reset can fix many issues by restoring Firefox settings such as search engine by default, newtab page and homepage to their original state. When using the reset feature, your personal information such as passwords, bookmarks, browsing history and web form auto-fill data will be saved. Follow the onscreen procedure to return your Mozilla Firefox web browser settings to their original settings. 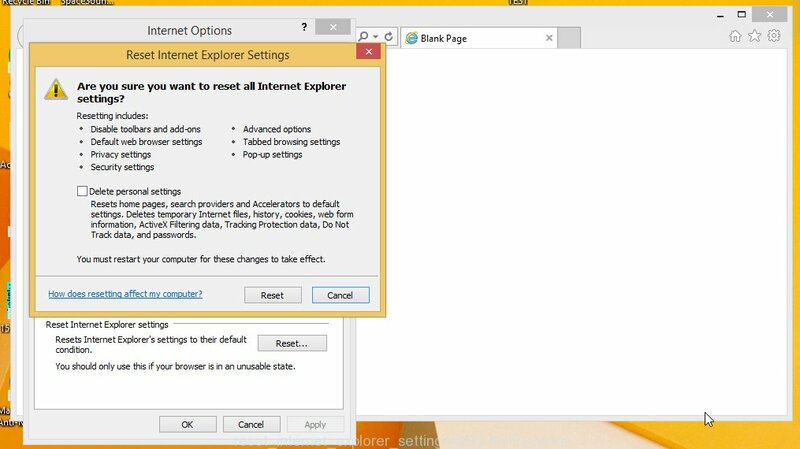 In order to restore all web browser home page, search engine by default and new tab page you need to reset the Internet Explorer to the state, that was when the Windows was installed on your machine. First, run the Microsoft Internet Explorer, then click ‘gear’ icon . It will display the Tools drop-down menu on the right part of the internet browser, then click the “Internet Options” as shown on the screen below. Once the process is finished, press “Close” button. Close the Internet Explorer and reboot your computer for the changes to take effect. This step will help you to restore your web browser’s homepage, search provider and new tab to default state. In this step we are going to show you how to reset Chrome settings. PUPs like the Binkiland.com can make changes to your web browser settings including new tab page, start page and default search engine, add toolbars and unwanted add-ons. By resetting Google Chrome settings you will get rid of Binkiland.com and reset unwanted changes caused by browser hijacker infection. It’ll keep your personal information such as browsing history, bookmarks, passwords and web form auto-fill data. Once this task is done, your web-browser’s search engine by default, newtab and homepage will be restored to their original defaults. If your PC system is still infected with the Binkiland.com browser hijacker, then the best way of detection and removal is to run an antimalware scan on the system. Download free malware removal utilities below and start a full system scan. It will help you delete all components of the browser hijacker infection from hardisk and Windows registry. Download Zemana Free to delete Binkiland.com automatically from all of your web-browsers. This is a free program specially designed for malware removal. This utility can delete adware, hijacker from Internet Explorer, Edge, Chrome and Mozilla Firefox and MS Windows registry automatically. Installing the Zemana Anti-Malware is simple. First you will need to download Zemana Anti Malware (ZAM) by clicking on the following link. After the download is finished, close all programs and windows on your machine. Open a file location. Double-click on the icon that’s named Zemana.AntiMalware.Setup. Once install is finished, press the “Scan” button to perform a system scan with this tool for the browser hijacker responsible for modifying your browser settings to Binkiland.com. 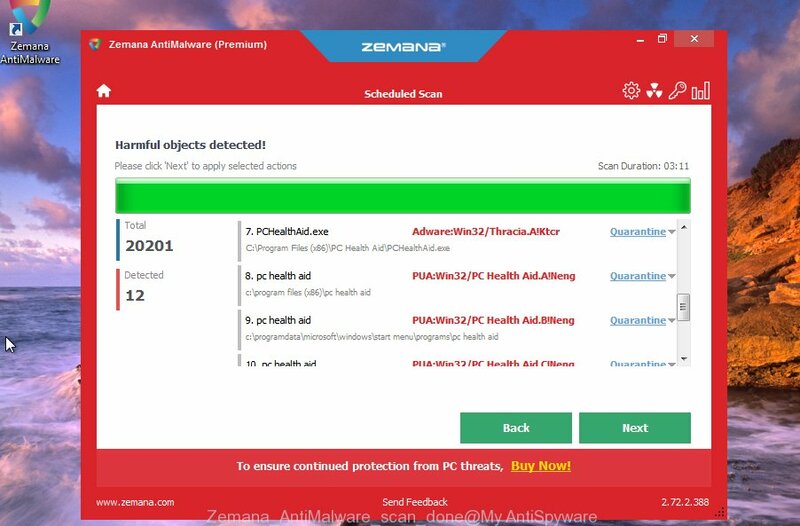 Once the scan get finished, Zemana Anti-Malware (ZAM) will show a list of found items. Next, you need to press “Next”. After disinfection is finished, you may be prompted to reboot your computer. If you surf the Internet, you can’t avoid malicious advertising. But you can protect your browser against it. Download and use an ad-blocker program. AdGuard is an ad blocking that can filter out tons of of the malicious advertising, blocking dynamic scripts from loading harmful content. Once the install is complete, click “Skip” to close the setup application and use the default settings, or click “Get Started” to see an quick tutorial that will allow you get to know AdGuard better. In most cases, the default settings are enough and you don’t need to change anything. 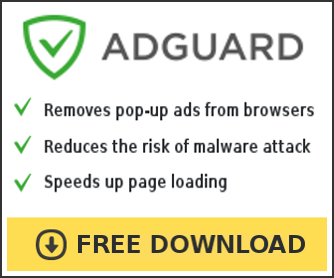 Each time, when you start your computer, AdGuard will run automatically and stop unwanted pop up ads, block Binkiland.com, as well as other malicious or misleading webpages. For an overview of all the features of the application, or to change its settings you can simply double-click on the icon called AdGuard, that may be found on your desktop. The browser hijacker is usually gets onto personal computer by being attached to free software and install themselves, with or without your knowledge, on your computer. This happens especially when you’re installing a free software. The program setup file tricks you into accepting the setup of third party programs, which you don’t really want. Moreover, some paid software can also install optional software that you don’t want! Therefore, always download free software and paid applications from reputable download pages. Use ONLY custom or manual installation method and never blindly press Next button. Now your PC should be free of the hijacker that cause Binkiland.com web-site to appear. We suggest that you keep AdGuard (to help you stop unwanted popups and annoying malicious websites) and Zemana Free (to periodically scan your system for new browser hijacker infections and other malicious software). Probably you are running an older version of Java or Adobe Flash Player. This can be a security risk, so download and install the latest version right now. If you are still having problems while trying to remove Binkiland.com start page from the IE, Chrome, Edge and Mozilla Firefox, then ask for help here here.